This latest census estimate shows that Minneapolis and St. Paul have slowly been losing population since 2000. Minneapolis shows a 2.5 percent drop while St. Paul experienced a 4 percent decline during the last five years. During the same period, the biggest gains have occurred in smaller cities in the southern metro, in communities like Shakopee, Savage, Chaska and Prior Lake. However, larger cities in the northern metro have also registered population growth. Maple Grove has grown by 16 and Blaine has grown by 19 percent. Todd Graham, the research manager for the Metropolitan Council, says the council will release its own population estimates in July, and those estimates will also reflect population growth. "Growth is happening in the places that have undeveloped greenfields, land that is being opened by city zoning and planning," says Graham. Graham says the council's numbers will be more accurate, and will probably reflect a bit higher population growth in the suburbs than the census estimates. Graham says the Metropolitan Council bases its estimates on housing stock, and calculates growth by the number of housing permits issued in a city per year. The council then multiplies the number of housing units by the estimated number of people who will live in each unit. The federal census, says Graham, bases its calculations on statistics like births and deaths and on migration models. As a result, he predicts Minneapolis will show gains in population when the Met Council report comes out in July, and he says St. Paul's numbers should remain stable. Growth is happening in the places that have undeveloped greenfield, land that is being opened by city zoning and planning. Despite the differing numbers, Graham says the trend in suburban and exurban growth remains the same. "Blaine in Anoka County tells us that they're going to continue having something like 800 to 900 housing units permitted per year," Graham says. "They're not slowing down, they're going to continue at that pace until 2010." 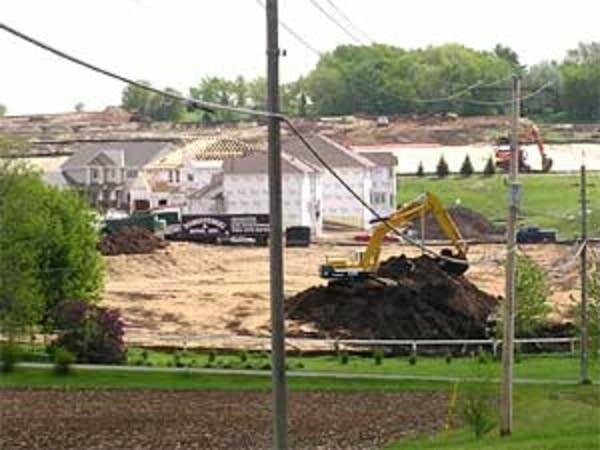 According to figures compiled by the Keystone Report, a weekly report on the construction industry, in the period between 2002 and 2005, Blaine issued more permits and built more units of housing than any other city in the metro area. Sue Yorks, the founder of the Keystone Report, gets her data by going from city to city in 11 counties, and counting up the permits. "So let's say in a city, I get two permits from them and one of them is a four-unit townhouse. I would list that as two permits, five units, because one is a single family and one would be a four-plex," Yorks says. Yorks, who started her business 21 years ago, says she's seen a general slowdown in housing construction. However, she says there's still a demand for housing farther and farther from the core cities. "I've noticed cities like Elk River, Otsego, St. Michael, you get further out, it's still moving pretty good out there," says Yorks. "And I think it's because the cities around Minneapolis, St. Paul proper are getting full, so definitely people have to move out." Blaine city officials say their population projections for 2005 are higher than census figures. City council member Kathy Kolb says the growth in population and housing is also attracting commercial development. Minnesota Vikings owner Zygi Wilf chose the area as the site for a proposed football stadium and massive commercial development. The plan required public funding and didn't pass through the Legislature last session. Kolb says she's not surprised by Wilf's interest in her city. "I think that the real estate itself, regardless if Wilf develops it or somebody else develops it, is some of the best real estate right now in the Twin Cities area, if not in the region, because it has freeway access, it has freeway visibility," Kolb says. "It's totally undeveloped, so it doesn't have to be redeveloped. It can be created as they want it to be, as long as there is preservation of significant wetlands." There are other developments in the works for Blaine too. 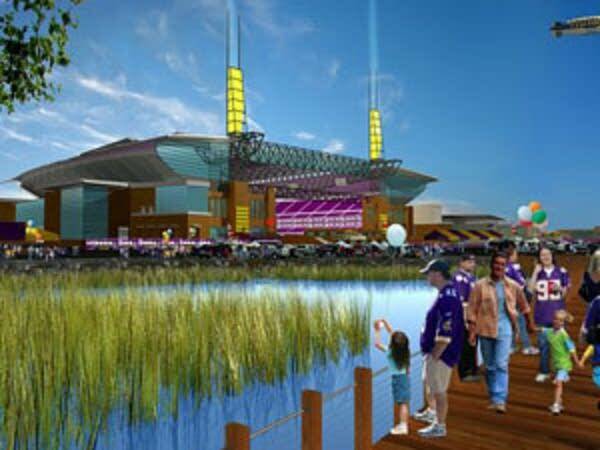 Kolb says a proposal has been made for a hotel and water park to be located near the National Sports Center.